Dr. David Furr, of Quest Medical Clinics in Roland and Springdale, Arkansas, has lost his medical and prescription licenses after his arrest on Nov. 19 in Barling, Arkansas, when police found two loaded guns and loose prescription drugs in his vehicle. Charges against Furr were later dropped but the Arkansas Medical Board suspended his license this month and the Oklahoma Bureau of Narcotics and Dangerous Drugs (OBNDD) asked Furr to give up his prescription license voluntarily this month, which he did. The OBNDD oversees prescription drug licenses to reduce the abuse of prescription drugs. 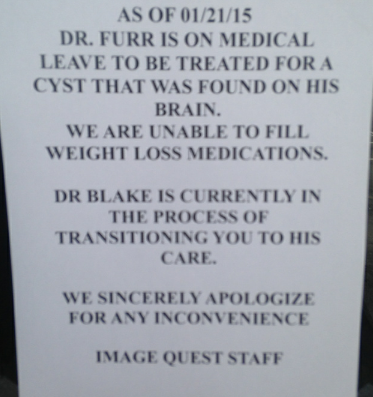 There is currently a sign (pictured above) on the door of Dr. Furr's Roland office stating that he "is on medical leave to be treated for a cyst that was found on his brain." A Cherokee Nation deputy marshal, whose name was not released, has been sent to a Tahlequah hospital for a mental evaluation after surrendering to the Cherokee Nation Marshal Service and the Oklahoma Highway Patrol (OHP) SWAT Team, Sequoyah County Sheriff Ron Lockhart said in a press conference Friday morning. Lockhart said the man, who was about 50, surrendered at 4:30 a.m. Friday after a 10 hour standoff. The man will not be charged, Lockhart said. "Our main goal was to get him some assistance, to get him the treatment he needs," Lockhart said. The man is described as a trained law enforcement officer and trained sniper, who did have guns in the house. The house is on Blue Ribbon Downs property, now owned by the Cherokee Nation. Lockhart said the Cherokee Nation Marshal Service was alerted to the problem by the man's family and girlfriend, who said he had not been to work since Monday. 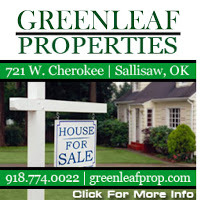 The marshal service alerted other police agencies-the sheriff's office and Sallisaw Police Department-who helped the service block off Farm Road, on the track's west side, where the house is located. Lockhart said neighbors were warned about the standoff, but were not evacuated. Photo Courtesy of Blakely Smith Jr.
A Sallisaw man is listed in critical condition following a one-vehicle crash at 12:18 p.m. Thursday on County Road E 4580, just south of U.S. Highway 64. The Oklahoma Highway Patrol (OHP) reported Charles Brooks, 88, was driving a 2001 Cadillac south on the county road when the car left the road to the right, traveled 100 feet and struck a tree. Brooks was taken by Lifeflight to St. Francis Hospital in Tulsa and admitted in critical condition with head, internal and leg injuries. 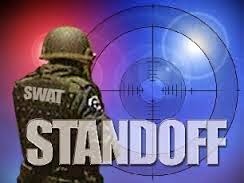 The standoff between a male subject and area law enforcement agencies that lasted for several hours ended early this morning. According to authorities, at approximately 4:30 a.m. the subject involved in the standoff peacefully surrendered to law enforcement personnel. 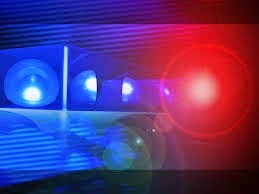 The subject lived in a home located on property owned by the Cherokee Nation on Farm Road on the western edge of the former Blue Ribbon Downs Racetrack. Negotiators from the Oklahoma Highway Patrol and the Cherokee Marshal Service spent over 10 hours on the phone with the subject in hopes of a peaceful surrender. According to Sequoyah County Sheriff Ron Lockhart, the subject is being debriefed at this time and will be transported to a mental facility. 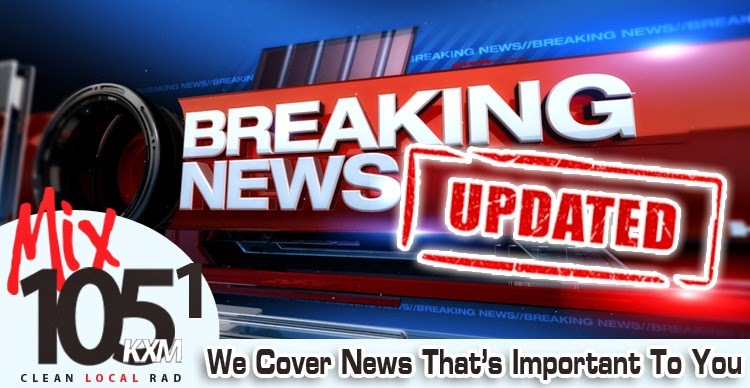 It is our understanding that another press update will be released later this morning. We will relate that information to you as we receive it on both Facebook and live over-the-air broadcasts. Beginning at 6:10 p.m. area law enforcement officials held a press conference with media regarding an "ongoing situation" in Sequoyah County as described by Sheriff Ron Lockhart. An incident command center has been set up at the administration building of the Sallisaw Public School system. The "situation" does not involve the school system in any way. According to Sheriff Lockhart, he was notified at 10:00 a.m. this morning that there is an "ongoing situation" occurring on Cherokee tribal land. 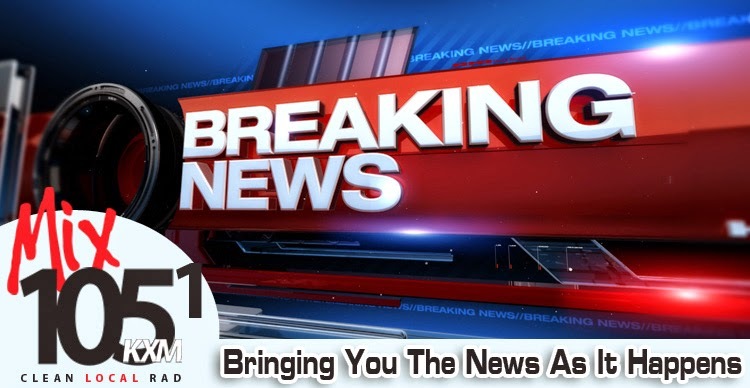 Several law enforcement agencies, including the Cherokee Marshal Service, are involved in this situation however they are currently not releasing any details. Farm Road, near the old Blue Ribbon Downs Racetrack, is currently blocked off from all traffic. Sheriff Lockhart indicated that other media outlets are reporting that the Cherokee Casino Sallisaw is under lock down but he emphasized that this is incorrect. The casino is not under lock down at this time. According to authorities the situation continues to evolve and they will be releasing more information later tonight. We will bring you further information as it is released. 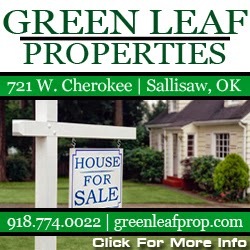 Authorities have released additional information regarding the ongoing situation on Farm Road west of Sallisaw. According to Sheriff Ron Lockhart an individual has barricaded themselves inside a residence that is located on tribal property. Local law enforcement agencies have the area around the residence blocked off. "Oklahoma Highway Patrol officers are negotiating with the person. We are hoping that everything will end peacefully," stated Sheriff Lockhart. Negotiations have been ongoing for the past several hours. We will continue to bring you more information as it is released. 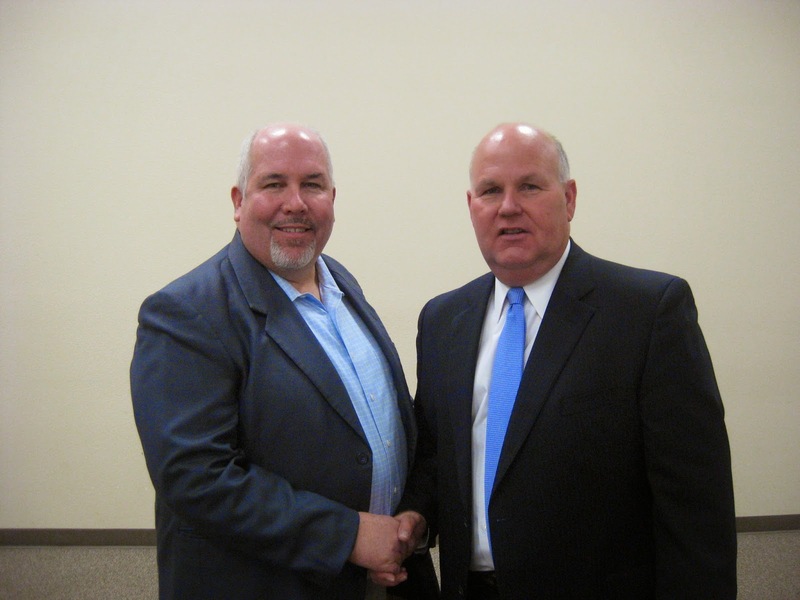 The Sallisaw Chamber of Commerce 2015 President, Darren Girdner, left, visits with Gary Jones, State Auditor and Inspector, at the chamber's member luncheon Wednesday at People Inc. Jones spoke on repairing government employees' pension plans, and taking politics out of play between the auditors and inspectors office and those audited. The Sallisaw Chamber of Commerce Awards Banquet will be held Feb. 21 at the new Sallisaw Middle School, it was announced at the chamber's monthly membership luncheon Wednesday. New Chamber President Darren Girdner conducted the meeting at the People Inc. Conference Center. Girdner said the banquet will have the theme "Here's to New Beginnings!" Bubba Burcham, captain of the 2000-2001 national champion OU Sooner football team, will be the keynote speaker for the evening. The deadline to buy tickets and to reserve corporate tables is Feb. 13. 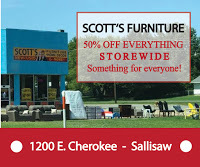 For more information contact the chamber office at 918-775-2558. Girdner also reminded members that the Sequoyah County Junior Livestock Show will be Feb. 25 and 26, with the premium sale and banquet on Feb. 27. 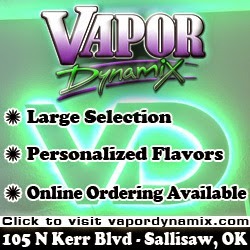 The show will be at the Sequoyah County Fairgrounds in Sallisaw. 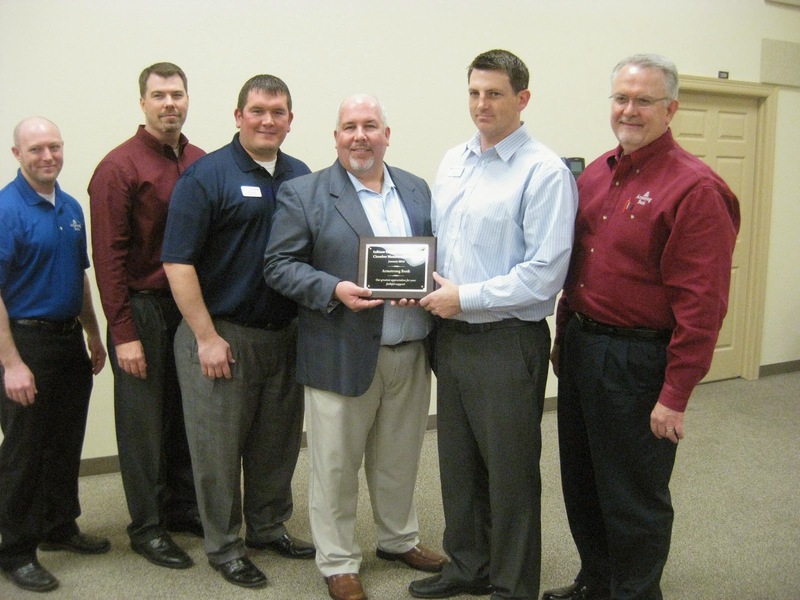 Armstrong Bank, a strong supporter of the livestock show and other community events, was named the Chamber Member of the Month. The bank has been owned by the Armstrong family since 1922, and was the only one of 13 banks in the county to survive the Great Depression. Gary Jones, State Auditor and Inspector, was the guest speaker at the luncheon, and discussed ways to improve the state's part of government employee's pension plans, most particularly for teachers. He said a good pension plan is a recruitment and retention enticement, but the state had failed to fund its portion. That needs to be fixed, he said. He also explained how his office has taken politics out of audits, by refusing to remove findings from audited offices, and that his office has also improved prosecution of cases. Since taking office in 2010, he said, his office has conducted about 23 percent more audits than in past administration, with considerably less funding. Sallisaw Police Lt. Sandy Girdner was honored on her retirement Wednesday at a reception held at the Sallisaw Civic Center. The reception was sponsored by the police department and her Fraternal Order of Police (FOP) lodge. 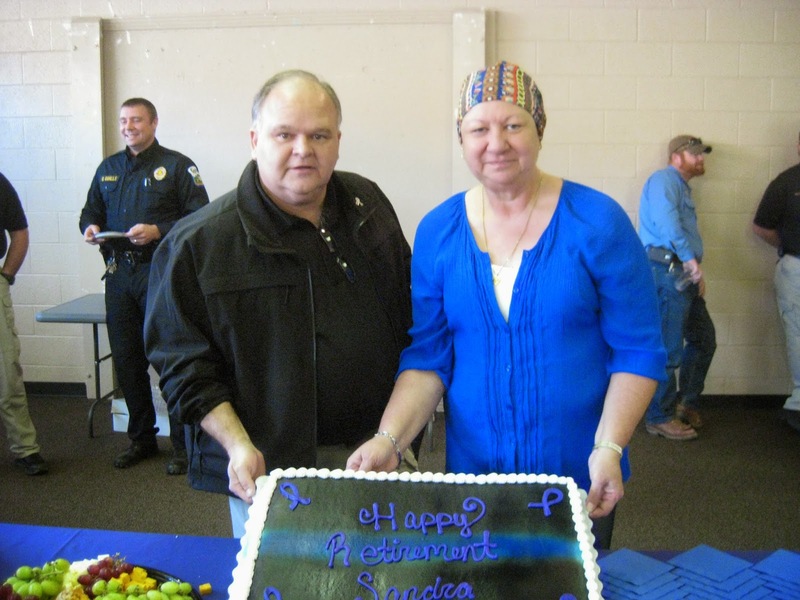 Above, Sallisaw Police Chief Terry Franklin and Girdner show the cake served to her co-workers, relatives, friends and guests. FOP members presented Girdner with her police uniform blouse, framed. Franklin presented Girdner with a plaque, her badge, and her service weapon, engraved with her name and years of service, from December 1995 to December 2014. "This is your day," Franklin told her. "You can do anything you want." Girdner, who is undergoing cancer treatment, told the crowd, "This is bittersweet. At this time in my life, I can't be an officer, but I can support you." Voice breaking, she continued, "It's been a ride. It's been a ride. I love you all. If you ever need me, you know where I am." Girdner was hired by now retired Police Chief Wayne Craighead, and served her first three years as a civilian employee with the police department, then 19 years as a full time police officer. She concluded her career as a lieutenant in the detective division, where she specialized "in everything," especially domestic issues such as child and sexual abuse. She was a vocal spokesperson for victims, and worked throughout the community against such abuse. Girdner said she will be spending time now "with my kids and my family. I feel good. I've been blessed beyond belief." 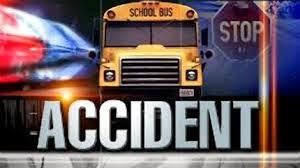 A Fort Gibson school bus was involved in a non-injury collision at 7:17 a.m. Wednesday on U.S. Highway 62 at 2 Mile Road in Muskogee County. The Oklahoma Highway Patrol (OHP) reported the 2009 Thomas 44-passenger school bus, driven by Jerry Fields, 61, of Muskogee, had slowed at an intersection when a 2008 Chevrolet, driven by Michael Watkins, 25, of Tahlequah, struck the school bus in the rear. According to the OHP, Fields said he had dropped an object in his vehicle and while attempting to pick it up, struck the bus. No injuries were reported by either driver or the 15 passengers on the bus, the OHP reported. Four persons were hospitalized Tuesday after a one-vehicle crash at 3:14 p.m. on County Road 965, about 320 feet west of State Highway 10A, according to the Oklahoma Highway Patrol (OHP). 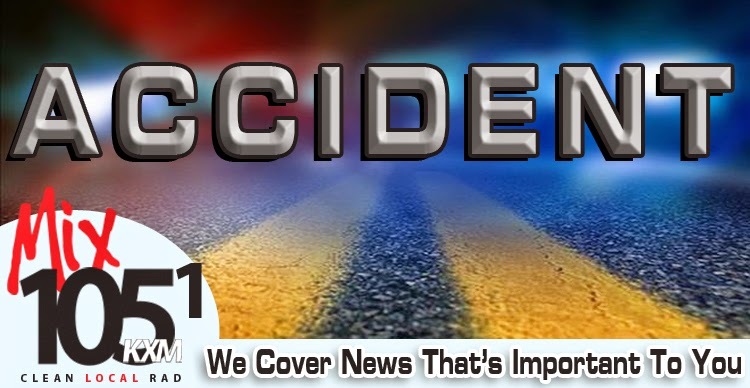 The OHP reported Scotty Bynum, 44, of Paradise Hill was driving a 1994 Ford pickup truck west on the county road when he came over the crest of a hill, ran off the road to the right and struck a tree. The truck came to a stop on the tree, the OHP reported. Bynum was Lifeflighted to St. Francis Hospital in Tulsa where he was admitted in stable condition with leg and internal injuries. Three passengers in the truck were also hospitalized. Jacky Cox, 22, of Van Buren, Arkansas, was transported by ambulance to Tahlequah City Hospital and admitted in stable condition with arm and internal injuries. 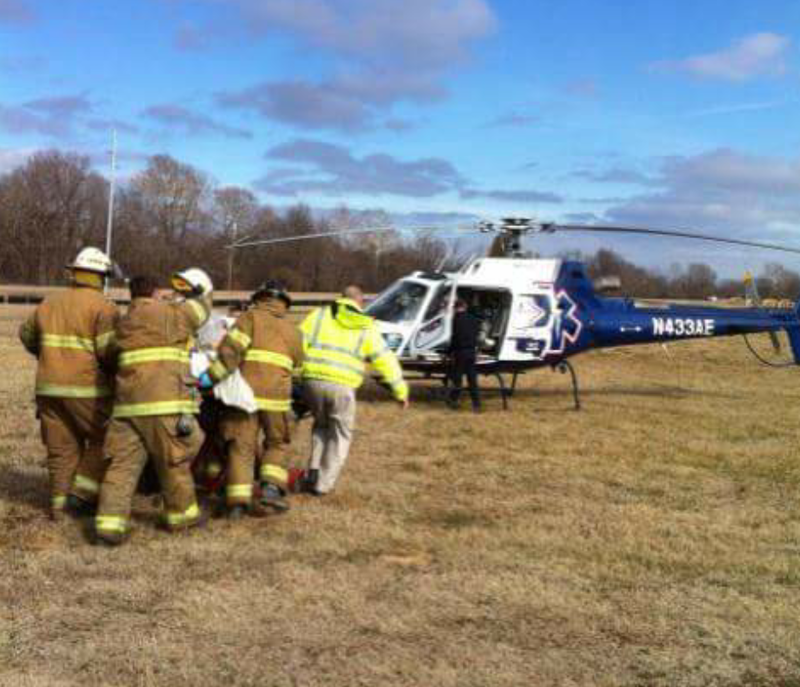 Marcus Lynch, 42, of Monroe, was Lifeflighted to St. Francis Hospital and admitted in stable condition with head, leg, and internal injuries. John Blackwood, 31, of Monroe was Lifeflighted to St. Francis Hospital and admitted in stable condition with head and arm injuries. The OHP reported seat belts were not in use. 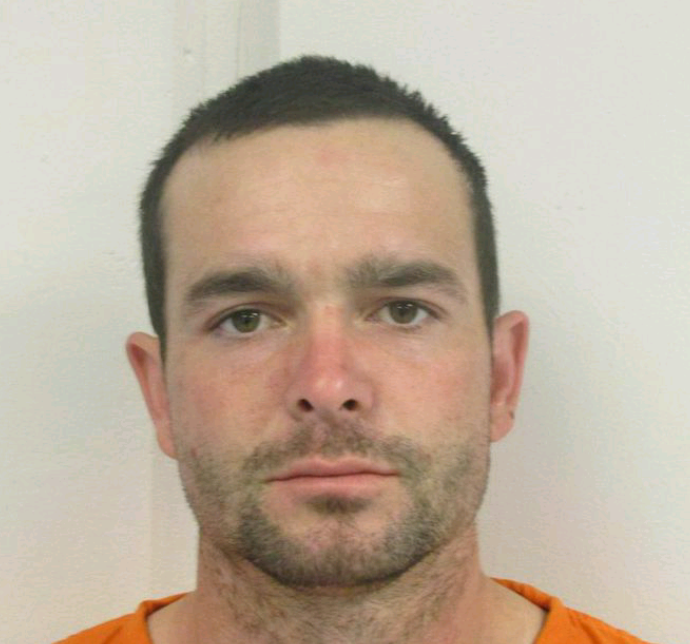 A bench warrant was issued Jan. 21 for a 34-year-old Sallisaw man who is charged with escaping from the Department of Corrections. Jerod Palmer is accused of removing his electronic monitoring device and running from a Drug Court termination hearing on Dec. 15. According to the investigator's report, Palmer was ordered into custody on Dec. 8 while in a courtroom at the Sequoyah County Courthouse in Sallisaw. The investigator reports what happened next: "Palmer had appeared in front of Judge Dennis Sprouse on this date due to Palmer going to be terminated from Drug Court immediately. Judge Sprouse ordered Palmer to be taken into custody...at the time Palmer was instructed to sit in the juror's box in Judge Sprouse's courtroom and wait being transported to the Sequoyah County Jail for booking...Palmer complied and sat down in the juror's box...Drug Court Supervision Officer Joseph Hatfield was ordered to go down to the Sequoyah County Jail to get a detention officer to transport Palmer to the jail. Edwards stated Palmer was acting very nervous, bending over and appeared to be doing something to his ankle monitor that he was required to wear. Edwards said about two minutes had passed when Hatfield had left the courtroom, when Palmer jumped over the jury box and ran out of the courtroom. Judge Sprouse told Edwards to contact Jerry Sizemore with Oklahoma Probation and Parole to notify him that Palmer had escaped custody." The report says the GPS ankle monitor, with a broken strap, was found about 20 minutes later in front of the courthouse. Palmer's court records indicate he was found guilty in 2014 of possession of a controlled dangerous substance, maintaining place for keeping/selling controlled substances and unlawful possession of drug paraphernalia, and intimidation of a witness. 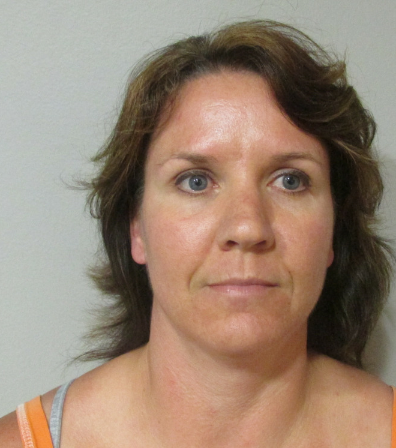 A motion for a change of venue was denied for the trial of Angela Gray, 39, of Muldrow, who is charged in relation to an ATV accident on Sept. 1, 2013, that left a teenager, Christian Mayberry of Muldrow, with a severe brain injury. Mayberry and his parents are now in Florida where he is undergoing rehabilitation. District Judge Jeff Payton denied the motion for a change of venue, filed by Gray's attorney, Gary Buckles of Poteau, Monday in Sequoyah County District Court, Sallisaw. Buckles based his argument on the amount of publicity the case has received in the media. Judge Payton also set a jury trial sounding docket date for April 2 for Gray, and said a district court jury docket is set for May 11 through 22. "Both attorneys said they will be ready to go then," Judge Payton said. 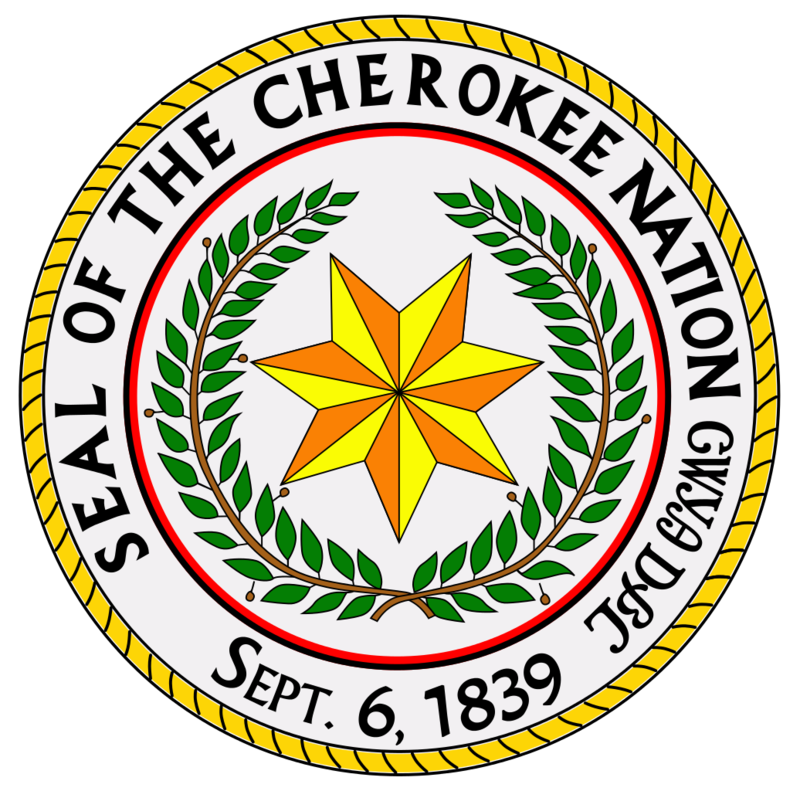 Starting Feb. 2, the Cherokee Nation will offer its Volunteer Income Tax Assistance program to help Cherokee citizens and the general public fill out and file federal and state taxes. Last year the free program helped more than 1,500 taxpayers by saving preparation fees of up to $400 that are normally charged for those services. The tribe offers assistance in 14 locations. "The Volunteer Income Tax Assistance Program helps families file for and keep the tax credits for which they are eligible at no cost to the taxpayer," said Shay Smith, director of the tribe's Small Business Assistance Center. "Some tax preparers charge fees for electronic filing or for the completion of additional tax forms related to claiming tax credits or the Affordable Care Act. There are no fees associated with the VITA program, ensuring taxpayers receive 100 percent of their refund." To qualify for VITA, which is open to Native and non-Native families, an individual or household must not make more than $58,000 per year and reside within the tribe's 14-county jurisdiction. The service is free and runs Feb. 2 through April 15. Walk-ins are available at the Tahlequah and Westville sites. All others are by appointment only. This year, 13 certified volunteers from Cherokee Nation's commerce department and Cherokee Nation Entertainment will be preparing returns using the basic 1040 form and others that apply. All federal and state returns will be e-filed through VITA at no charge. To use the service, families must provide a photo ID, Social Security card and birth date for each person listed on the return, individual taxpayer identification numbers, W-2s, 1099s, a copy of the previous year's tax return, documentation of deduction and bank account information for direct deposit of any refund. Additional documents may be required, depending on the return. The Affordable Care Act also now mandates taxpayers to have had health insurance last year or a penalty could apply. Volunteers will be available for assistance in Sallisaw, Tahlequah, Pryor, Westville, Stilwell, Catoosa, Claremore, Jay, Collinsville, Salina, Muskogee, Vinita, Bartlesville and Nowata. Tax preparation can also be completed online for free for those qualifying at http://www.myfreetaxes.com. Appointments should be made as soon as possible. For more information on where to find the nearest volunteer and set up an appointment, call 918-453-5536. A Shady Point woman was hospitalized Saturday after a crash at 2:33 p.m. on U.S. Highway 271 at Lock and Dam Road in LeFlore County. The Oklahoma Highway Patrol reported Misty Means, 41, was driving a 2009 Ford Pickup truck west when she left the road to the left, struck a ditch, went airborne for about 77 feet, then struck another ditch. Means was transported by LeFlore County EMS to Mercy Hospital in Fort Smith, where she was admitted and listed in stable condition with head and internal injuries. Oklahoma Forestry and area fire departments were busy last week with wildfires in the county. Cliff Eppler, Forest Ranger II in Sallisaw, said vegetation is still in a winter dormancy period, which means that it quickly dries with warm temperatures and wind. When humidity levels drop below 35 percent, wind gusts take place at over 10 miles per hour, and temperatures warm conditions into the 50s and 60s, wildfire activity increases. These conditions present optimal opportunities for responsible burning, i.e. brush, trash, leaves, cropland, and managed forestry areas, but also allow for fast-moving wildfires if burns are not carefully planned, monitored, maintained and contained, throughout their duration. For those planning controlled burns, Eppler asks these guidelines be followed. *Before you burn check to make sure that the wind is not gusty. Gusts over 5 to 10 mph can create a bad situation quickly. *Always plan to stay with the burn site, throughout the duration of flame activity. *Always have a water hose nearby, in case of an emergency situation. *When you prepare a burn site, dig a dirt barrier around your intended burn area, even if you're burning in a grassy area. The direct ring creates a fire-resistant barrier so that flames stay where you intend them to. Remember the grass burns very quickly when conditions are this dry. *To report a wildfire call 1-800-299-FIRE (3473). 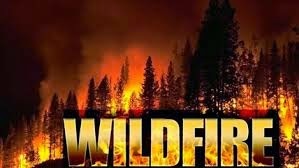 Even though rain in Sequoyah County Thursday dampened the ground, Eppler said it won't be long before wildfire season is in full swing. Eppler said, "It's a combination of temperature, wind and humidity," that people should check before a controlled burn. Sallisaw officials and employees have been working hard this week on a temporary solution to the emergency situation involving the condemning of the old animal shelter. They have been working to prepare a temporary animal shelter in the old barn on the property the city purchased for a new shelter on Eppler Avenue, but currently doesn't have sufficient funds to build. 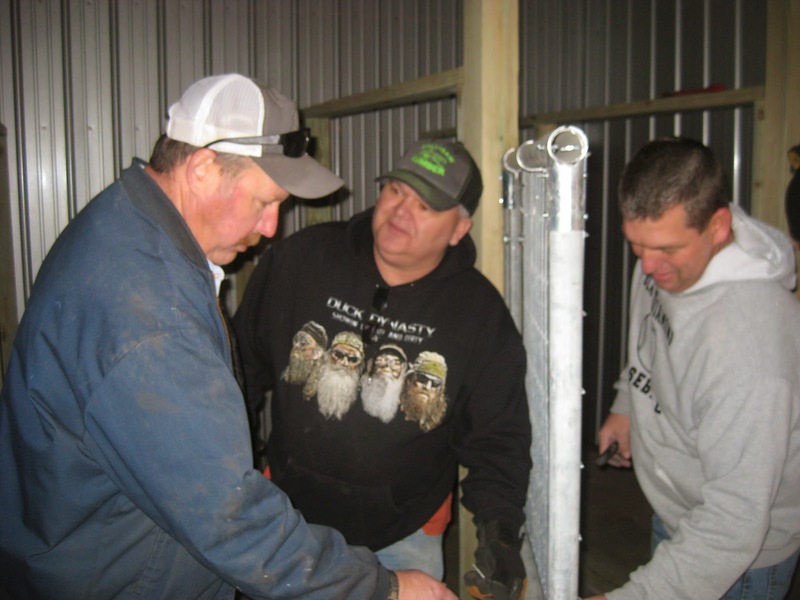 Above, Sallisaw Police Chief Terry Franklin, center, Lee Risley, left, the city's parks superintendent, and Police Lt. Billy Oliver, right, construct one of eight kennels being built. Franklin said after learning the old animal shelter was condemned and judged unsafe to use at all, city officials decided to build the temporary shelter. Work began Monday and Franklin hopes the kennels will be complete by Friday. "Animal control has not ceased," Franklin said. "We are still issuing citations to dog owners found to be letting their dogs run loose." Franklin said all the city's departments have pitched in to help, including the parks, water, electric and street departments as well as officers with the police department. Materials from the old ball fields are being re-purposed for the kennels, along with some new materials. In the meantime the city is calling for new bids on a reduced-size animal shelter. The city set aside $100,000 for the new shelter, but bids sought earlier were far beyond the $100,000. At the city's last city commission meeting, city commissioners approved reducing the size of the planned shelter and calling for new bids which hopefully fall within the new budget requirements. The call for bids is expected to be announced within 30 days of the meeting. The old shelter had been determined by engineers too dangerous to use, and was in such bad shape that city employees and the public were not allowed inside the building. Franklin said the city's animal control officer, Thomas Bridgewater, and his supervisor, Randy Freeman, found new homes for the dogs in the shelter at the time. Franklin said it is hoped the temporary shelter will be ready for use by Monday. In addition to the kennels, water and electricity have been installed in the building and the 20-foot by 32-foot newly built room in which the kennels are housed. Also, outdoor kennels were being built so the dogs could be outside in good weather while the kennels are cleaned. In the future, Franklin explained, when a permanent animal shelter is built, this temporary facility could possibly be used for cats in need of shelter. "We just stepped up and started building it," Franklin said. "We couldn't find anywhere to go and we made due with what we had." Franklin added that anyone who has lost a dog or who wants a new pet should contact the city just as they have done in the past, and an animal control officer will help them. "It's not about us," Franklin said, "It's about the whole community." 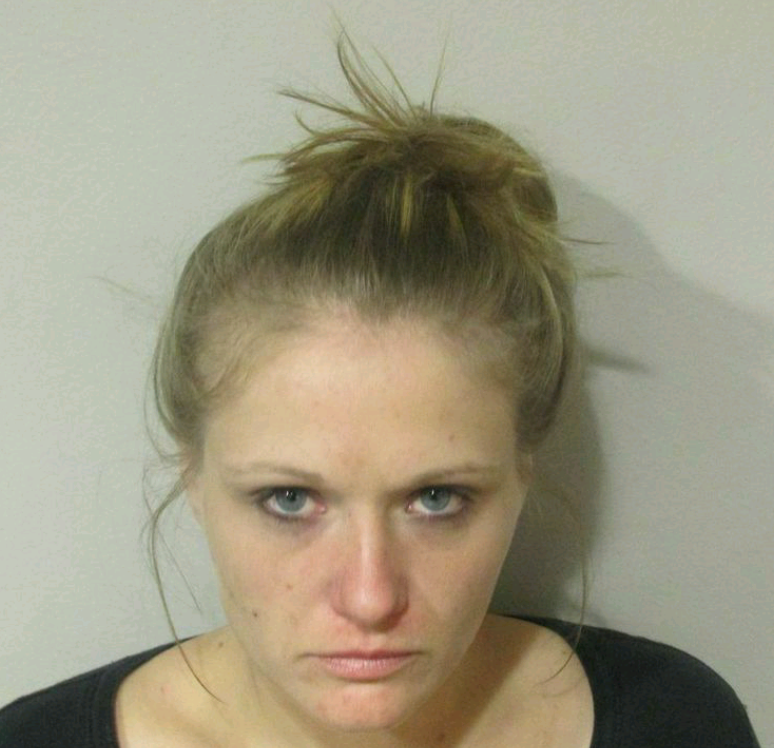 Sequoyah County Sheriff Ron Lockhart on Wednesday related information found through an investigation into the alleged burglaries committed by Heather Lynn Spear, 28, of Gore and Timothy Davidson, 28, of Vian. 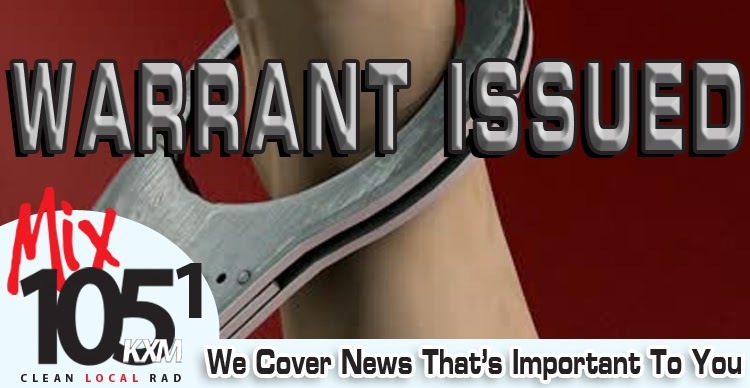 As reported by The Mix 105.1 last week, the two were arrested Jan. 14 and booked into the Sequoyah County Detention Center in Sallisaw on burglary and other charges, and on holds from other towns and cities. The two suspects are still being held in the county jail. Lockhart said deputies were able to track down the suspects after they attempted to sell a stolen gun in Fort Gibson. Davidson was arrested at his home north of Vian, and Spears was arrested at another home, the owner of which was not involved, deputies said. Lockhart said the investigation revealed that the two suspects were linked to several burglaries in Sequoyah County and other burglaries in Cherokee and Muskogee Counties. Lockhart said, "Mr. Davidson has been a suspect in other burglaries over the last year. Investigators are attempting to identify other suspects and to recover items that have been stolen." Lockhart asked that anyone with information contact the sheriff's department. Lockhart said, "We know associates of the two have been purchasing stolen items and these people are violating the law. We will do everything possible to put everyone involved with these two suspects in jail." Lockhart said at least six burglary victims have been identified, and some of those have been burglarized multiple times. Stolen items include four wheelers, trailers, riding lawnmowers, guns, Weedeaters, and jewelry. Most of the items stolen have been traced and found to have been taken to other counties where they were sold or traded Lockhart said. Animal Shelter Nearly an "Emergency"